Q: It's not flight safety I'm worried about, it's the fact the plane is closed in and once the doors are shut there is no way out. How can my fears about this be addressed? Q: My boyfriend is a very active sportsman, some of which are really dangerous, but he is afraid of flying?! He avoids air travel and it is affecting our relationship. What do you suggest? Q: How does a huge metal plane stay in the air? A: One of the topics in the Fear of Flying Help DVD covers the Aircraft. A thorough explanation of how an aircraft flies is part of the program, in order to let you fly without fear. It is not only interesting, but once and for all you'll get the basic facts about how an aircraft flies. This is one of the most common questions that we pilots are being asked by passengers of all ages. Q: My fear of flying is unique. I've tried other methods to help me deal with this fear, but nothing has worked. Why do you think your method would work? A: Typically, most fearful flyers think that their fear is "unique" and "special". The good news is that there are so many fearful flyers and most of them think the same… I have come across literally thousands of people like you and so I can assure you that unfortunately or fortunately, there is nothing unique or unusual about it. Fear of flying is so real and strong that it is not surprising that you feel that it's irresolvable, especially when other remedies have failed. We offer no guarantee, because helping people to overcome their fear of flying is not like purchasing an electrical appliance. However, I'm very pleased to say that the 'Change That's Right Now Program', happens to be the most effective program available today to cope with fear of flying. The references you find in this web site were all written by people like you who started out feeling like you. Now, they all fly without fear. Your contribution towards solving the problem is MOTIVATION. More advice for fear of flying would be to get all the help you can. If you knew how a plane worked would you feel in control? - Yes! Watch our DVD and you will probably know and understand more than the person sitting next to you on any plane! This DVD will show you everything! 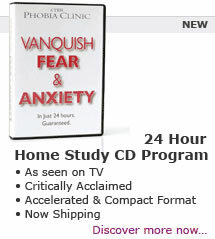 Fear of Flying Help has teamed up with a company called "Change Thats Rights Now" (CTRN) and along with the practical, informative DVD, we can now offer an outstanding home study program to completely eliminate The Fear of Flying FOREVER! why not Contact Us today and register your question. We will be happy to help you in any way we can and even publish your question on our website.